You are here: Home / How Earth Works / When is hurricane season? In the Northern hemisphere, hurricane season lasts from June through November. Most storms happen two months after the summer solstice, in late summer through early autumn, with August and September being the most active months. The average number of storms throughout the world during a season is 85. Hurricanes are powerful violent storms, with high gusting winds and heavy rain. They range in strength from weak to devastating. Winds can range from 74 to over 156 miles per hour. Sea levels can rise from four to over nineteen feet high. Damage can range from uprooted damaged trees and shrubbery to destroyed buildings. Storms can last 3 to 14 days. The long-lived storms can move over a large area ranging from 3,000 to 4,000 miles. Storms can move at speeds of 5 to 20 miles per hour. The scale which categorizes storm strength and intensity is called the Saffir-Simpson Scale. Storms form over warm waters, near the equator and move toward the poles. 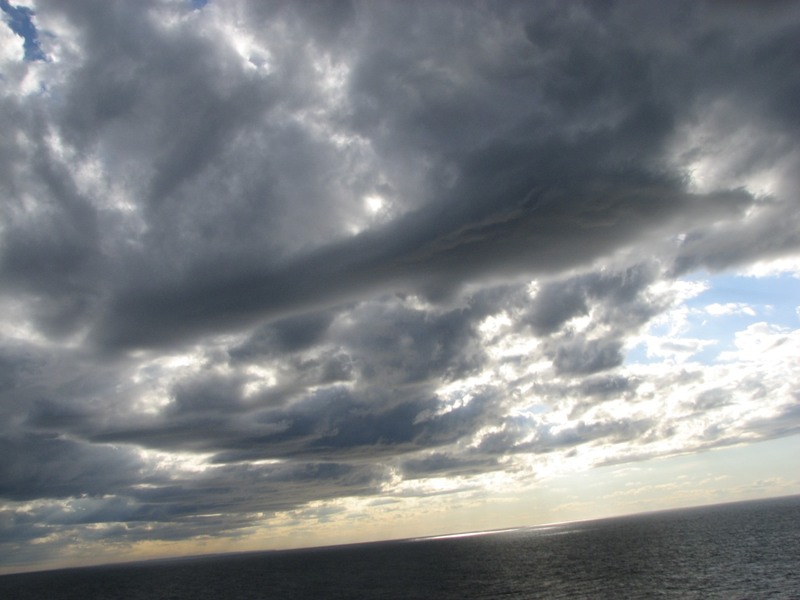 For a storm to form, the upper layer of the ocean water’s temperature must be more than 80°F (27°C). There also has to be uniform wind speed, so the storm can stay in tact and not blow apart. Storms in the Northern Hemisphere begin traveling from east to west. As the storm approaches the North American continent they shift to a more northerly direction and often travel along the coasts. The path of a storm is difficult to predict. Storms need heat and energy from warm waters and often die quickly when moving over land. This is why there are no hurricanes in areas far inland. Tropical storms develop when the winds exceed 38 miles per hour. When the winds surpass 74 miles per hour, a tropical storm is then called a hurricane. The National Hurricane Service of the National Weather Service (in the United States) issues storm watches and warnings when appropriate. Storms are called different names depending where they occur. They are called hurricanes when they occur in the North Atlantic Ocean, the Caribbean Sea, the Gulf of Mexico, or the Northeast Pacific Ocean. These violent storms are called typhoons when they occur in the Northwest Pacific Ocean. And tropical cyclones when they occur in the Indian Ocean and near Australia. The World Meteorological Organization (WMO) issues four alphabetical list of names one for the each of the four major storm regions. A list of storm names can be found on their website. One list is for the North Atlantic Ocean, and the Caribbean Sea. There is one list each for Eastern, Central and the Northwestern Pacific Ocean. Each tropical storm is named to help meteorologists communicate effectively about storms. Having a set list of names helps them to pinpoint where a storm occurred, its strength and what year it occurred. The list of names include both male and female names that are popular in the countries affected by the storms. In the North Atlantic Ocean and the Caribbean the first storm of the year is given a name beginning with the letter A. For the year 2012 the first name is Alberto. If the first storm meets the criteria for a tropical storm it is named “Tropical Storm Alberto”. If it gathers power it will be referred to as “Hurricane Alberto”.